Sometimes it’s handy to grab either a username or email address (why not both?) 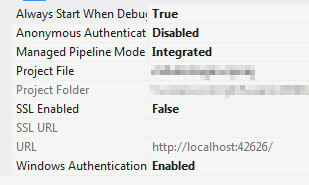 from active directory. Below are the steps I believe you’ll need to get going quickly. In my example, I’m using VS2012 and .net 4.5. Hope you enjoy! You can also use this method to retrieve other AD details (groups, full name, etc.). thank for your article it is useful. 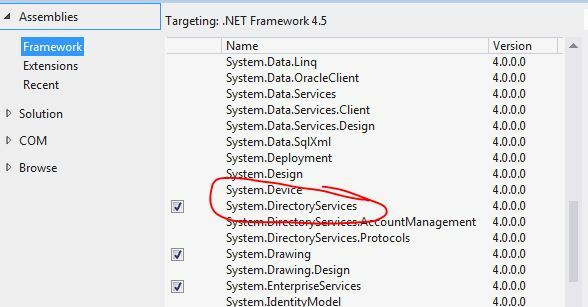 but I want register an online user by a web form and add them to active directory(i read very page about it and this is simple by using account management class) and then enable mail box for that user in exchange 2013 and ldap Schema and finally add Scheduler meeting time for them.